Ami Pattern Makers, when did you begin designing your own? I have been crocheting for a few years now, i was doing mostly beanies and baby things and blankets but moved into Amigurumi in the past year and have so many ideas of my own id love to make. 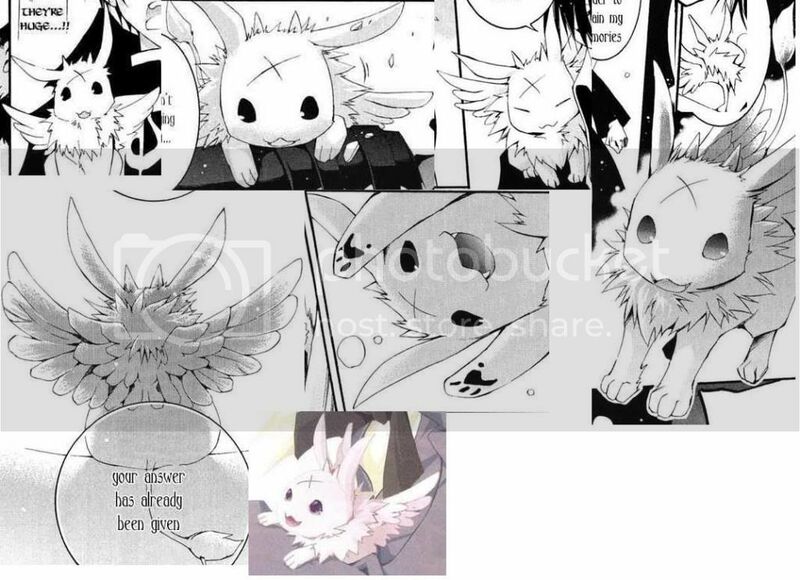 But dont really know where to begin with making an amigurumi pattern. When did you feel like you were at the level to design your own? Should i just keep using patterns and practicing until im ready to do them myself? I probably need a good handle on all stitches and understand what each one does in a pattern before i can start designing my own. Im getting pretty good now and make ami's pretty well. (i could be better of course). I would love to know when you started writing your own and your experiences and tips. Cant wait to hear the experiences of other ami lovers! If you are already feeling the urge to create your own Amigurumi Patterns then you are well on your way! Just go with what ever comes to mind! Follow your inner muse! There is no right or wrong way to create anything! Just go with what looks good to YOU!!! You will be amazed at what you come up with!!! I look forward to seeing your creations!!! The way I usually come up with Amigurumi Critters on my own is I usually work a row, count the stitches, then write it down real quick before I forget!!!! If i don't like how its coming along, I will rip out what I don't like and keep going! Always make sure you write it down as it comes! So you don't forget what you did!! I hope this has been of some help to YOU!!!! I just started making my own patterns a couple of months ago. I started out fairly small, with things that were simple shapes and then moved onto somewhat more difficult ones. One of my first projects was a modification of someone else's pattern (with their permission, of course) basically using the same body but making my own details. That's really the difficult part; the details. Basic shapes like balls or body shapes are pretty easy--I had a book that I found at a used books sale that explains about making those; it's mostly the same form, but adjusting the number of rounds to the size that you want. It's just math, basically. As for the other stuff, it's mostly just guess and check. Don't be afraid to rip or remake pieces; it'll have to happen at least once, mark my words. I have a headless body that I can't bare to part with, but that was too small to use for the amigurumi it was meant for. But there's always the possibility of using it for something else--I'm a pack rat, I know, but I have a pair of feet that I'm saving for a future project that I haven't gotten around to yet. You never know. I hope this helps. I am self taught when it comes to crochet and when I got into Amigurumi, I'm not sure if some of the solutions I come up with are known techniques. I think I need to take videos of how I do certain things so it helps for people to understand the technique and be on the same page. For example, there's different variations on how I join legs for amigurumi. A) If the Amigurumi is small, I generally join the legs by just one stitch. I use a decrease stitch on either leg in the same holes to ensure that there's a tight link and it doesn't leave an unattractive hole when you look from the bottom. Of course this makes your stitch count sort of tricky. B) If the Amigurumi is big, I use a little bit of math. I use the smallest possible number of stitches to join the legs. This makes writing down the stitch count easier. I generally crochet in freehand, constantly checking for the kind of shapes that I make based on different variations of stitch counts on each rows. It also helps to do this infront of a computer when you're writing down a pattern because you can automate a row count in a word processor if you need to start a new row with a new number of stitches. Halfway through my studies to become a dressmaker! I started making my own after only 2 Ami's but my sizing is still off. I'd only ever made granny squares and beanies before I made my boyfriend a robot Gir and it was pretty easy but I couldn't have done it without YouTube I still mainly make beanies and hair accessories but from making amigurumi I learned how to make hats too and I feel like I've really progressed. Read book, try new things and keep writing them down! It helps to go back and check what you did that didn't turn out the way you planned. I have a little notebook I use for that and it's a good way to keep yourself organized. Also, I figure someone might want to see my notes some day. Have fun with it too!! That's what it's all about! I started free handing my amigurumi about 6 months after I discovered that amigurumi even existed, and I decided I was ready because there were no patterns for http://i181.photobucket.com/albums/x73/Miss-Lanane/07-Ghost/07GBurupyarefs.jpg and I knew that I needed one, lol. Anyway, I say just go for it. Don't worry about not being good enough, or not knowing enough stitches, as these things will come with time, and if you keep telling yourself that you're not ready yet, you'll never get there. If you don't know where to start, try taking an existing pattern and altering it into something that you want. Turn a panda pattern into a bunny. And as someone said already, don't be afraid to make mistakes, as you can always tear it out and start over. Just today, I ripped out and redid the same section of my current project three times before I was satisfied with it. Even though I've been designing my own 'gurumis for about a year and a half now, I only recently started keeping track of what I'm doing, so I don't have much wisdom to shed on the actual writing of patterns, sorry. In about December, I found a "Link" pattern, and new I had to make it for a friend. I started it, didn't get very far, and got busy with school and stuff. About 3 or 4 weeks ago I dug it out, and finished it off. Then 2 weekends ago I made a Nibbler for a friend (I'm keeping it now. It's too cute to give away). And last weekend I made Agumon (Digimon). Yesterday I started a pattern based off a picture of a calendar. It's going well so far. I also need to make a Jack Skellington to replace the Nibbler for my friend (have a pattern for that). Then I'm making and Oogie Boogie for another friend. So, let's say I started them a month ago (I've done most of my work in the past month), and I feel (sort of) confident enough to attempt that one pattern on my own. I'm 20 now, and started crocheting when I was probably around 10, but have only ever started blankets. So I'm proud of myself for being dedicated enough to finish 3 patterns in the past month. Go ahead and try one yourself! Make it up as you go, write it down in something that at least you understand. Rip it out if it doesn't work, and try something else. But anyway, I still feel like quite a novice, but to get a general idea on how certain maneuvers look, I may look at other patterns, or base part construction by eyeballing other works... and it never hurts to keep up skills by working other patterns before starting your own: it helps get you used to how things may be sized or shaped when factoring yarn and hook choice. As for writing it out--I'm still kinda stuck, but I try figuring out which is easiest for me to remember/read when I write my patterns out. The first pattern I wrote of my own was Usagi (I think). I'm not sure if this advice is helpful enough but good luck!! I'd been crocheting since 2005 and my first solo pattern was in 07. I basically started when I couldn't find a pattern for something I wanted to make. I knew the techniques for increasing, and decreasing, For making basic shapes, Circle, oval, and triangles etc. 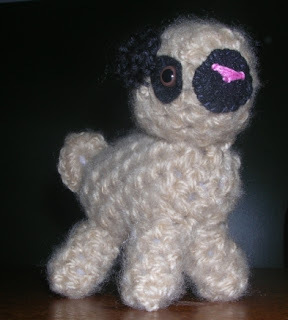 My first solo amigurumi was a tiny pug I made for my grandmother. I pulled up pictures of pugs online and basically looked at common colors. I decided on black and tan. I knew what shapes to make the legs, little ovals with a open end to stuff. I made the body a closed oval, and the head a circle. My next ami was a crocheted fish a Koi. I learned how to change colors. And after that a lobster. And then my honeysuckle dragon. My basic tips: Look up pictures of the animal or item you want to make. Break it down to shapes. Basic shapes. Work a row or two and mark it when you like how the shape is coming. This way if you don't like the next few rows you can frog back to that point rather than rip out the whole thing. And the biggest is to not be afraid of mistakes. Use it to learn! All the good talented designers make multiples of things till they get it just right! That's ok! IF you have to frog or rip out, it's ok! If you start to put it together only to realize you made one leg to long, it's ok! Making mistakes is human and normal. Don't beat yourself up for it. And don't be afraid to rip out!